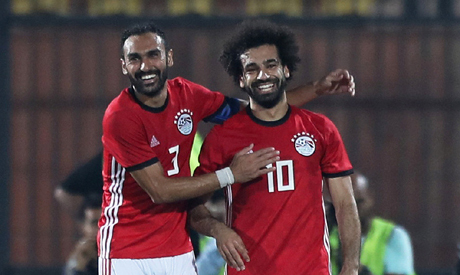 After beating eSwatini in two games in the 2019 African Cup of Nations qualifiers, Egypt climbed six positions to 58th in the FIFA global football rankings published 25 October. The Pharaohs defeated eSwatini in two games, 4-1 and 2-0, in the 2019 African Cup of Nations qualifiers to claim second place in Group J as well as booking a place in the tournament's finals. Egypt now ranks ninth among African countries and third among Arab countries after Tunisia (22) and Morocco (47). Tunisia, who jumped two positions this month, top the African rankings while Senegal continue to be second among African countries. Egypt, who are second in Group J of the CAN 2019 qualifiers with nine points, made it into the world's top 10 when they won three successive African Cup of Nations trophies in 2006, 2008 and 2010. Belgium tops the world rankings while France ranks second and Brazil third. In other highlights from the October rankings, Gibraltar made the biggest move after climbing eight positions to place 190th in the world rankings, while Mozambique suffered its worst drop, after losing nine positions.